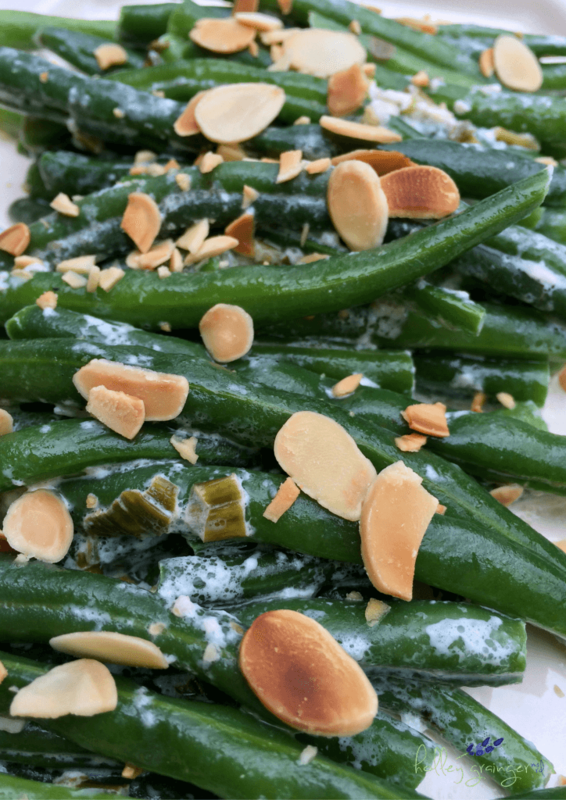 A lighter spin on a traditional holiday dish, this Lightened-Up Green Bean Casserole will keep both your waistline and tastebuds happy. 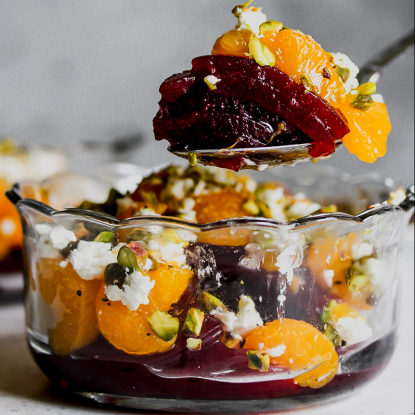 If you’ve vowed to make this holiday season a healthier one, then I’ve got just the treat for you with this recipe! Our house smelled amazing after whipping this up and the classic flavor of green bean casserole was still there! Win, win! I loved the additional of toasted almonds for a little added crunch, but feel free to sub in some breadcrumbs in place of the almonds if you have a nut allergy in the house. 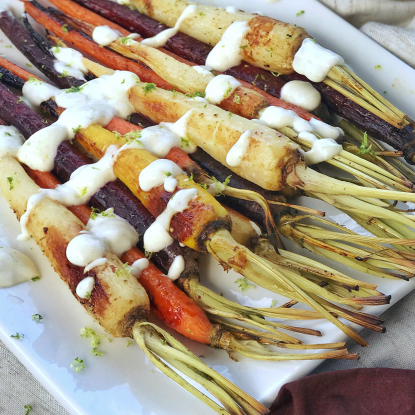 Check out the recipe below! Bring 2 quarts water to a boil in large saucepot; add green beans and cook 4-5 minutes, or until tender. Heat butter in skillet over medium heat; add garlic and onion, and cook 1-2 minutes. Add salt, pepper and half-and-half, and simmer 7 minutes, or until reduced slightly. 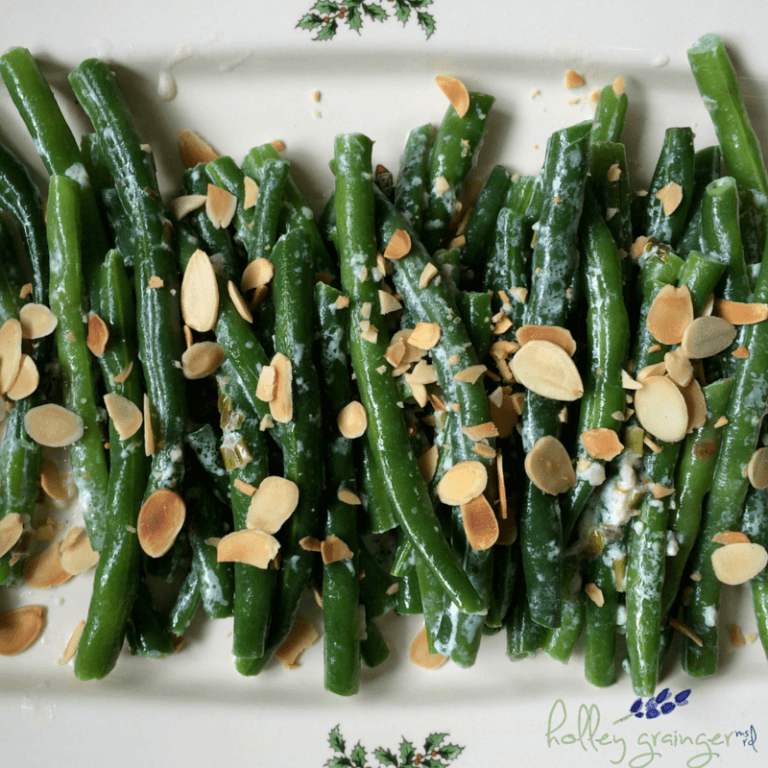 Toss half-and-half with green beans and top with almonds. 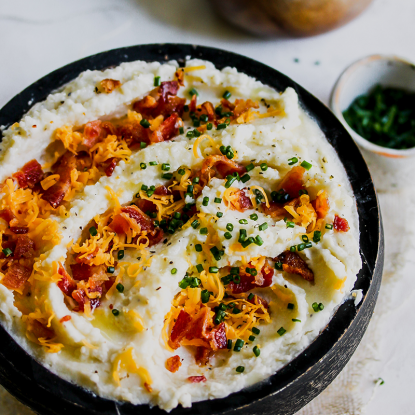 A lightened-up spin on a traditional holiday dish that will keep both your waistline and tastebuds happy.